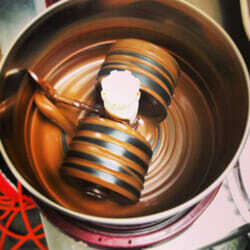 Atlas’ company, Kiskadee Chocolates, is one of about 50 bean-to-bar chocolate makers in the country. That means they import specialty beans from a few choice international spots and then roast and grind them themselves, eventually transforming the beans into finished bars. In other words, these makers are about as far from Hershey’s as you can get. 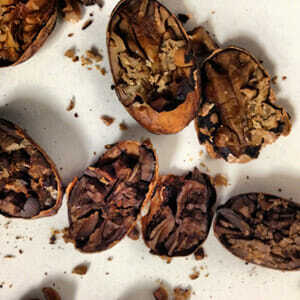 For these folks, it’s not enough to like chocolate, or even to have the best palate in the world. To make it, you have to be part physicist, part mechanic, and part foodie. 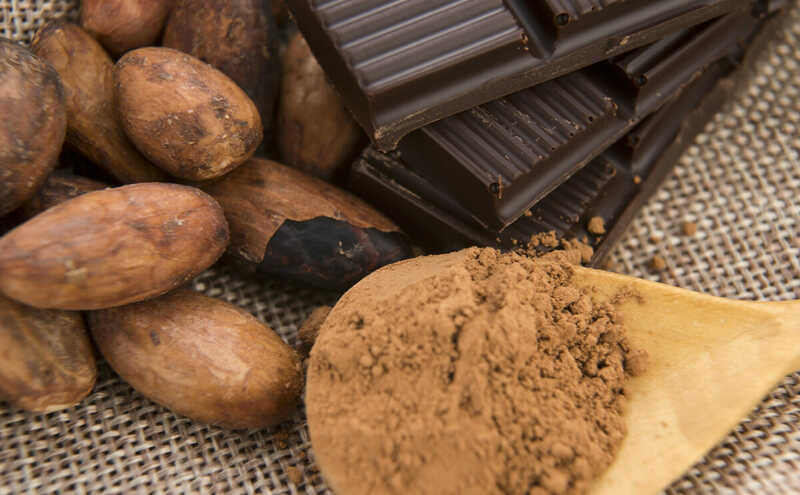 Many of these artisans get their start by consulting a website called Chocolate Alchemy, which walks you through all the tools you can use to make chocolate at home, as well as the nitty-gritty details of the steps. The labor-intensive process starts with roasting the beans, then carefully cracking them open and winnowing them (separating the shells from the nibs, the part you can eat). 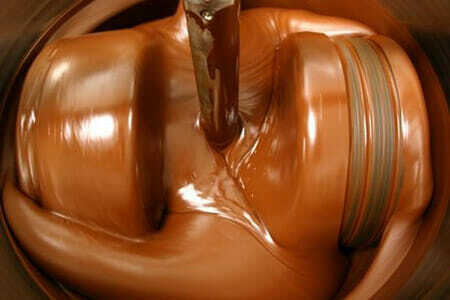 Then the nibs have to be ground into a fine liquid, and sugar has to be added and refined as well. 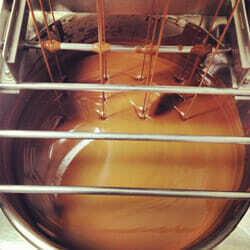 After that the mixture is conched, which means rollers go back and forth over the chocolate liquid, refining it further for anywhere from four to 72 hours. As chocolate expert Chloe Doutre-Roussel says in The Chocolate Connoisseur, conching “helps aromas develop, acids to evaporate and the texture to become finer and smoother.” Finally the chocolate is tempered and then molded into bars. 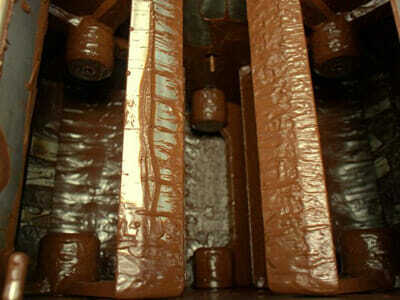 You’d expect that expert chocolate makers use professional machines. But that’s precisely the problem: There are few professional tools. Bean-to-bar chocolate is relatively new to the artisan food world, and no one makes devices for such small producers to use (Ghiradelli and Scharffen Berger, on the other hand, can afford industrial equipment). Part of the problem is that artisan chocolate is so niche, that selling the necessary machinery probably wouldn’t be that lucrative. 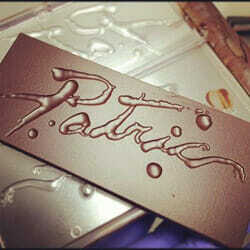 Patric’s most expensive piece of equipment (a tempering machine) is worth $20,000. Meanwhile the real-deal machines cost about $70,000 a piece. So small batch makers have found clever, cheaper ways to get by. Most makers also use the dal-grinding machines, also called wet grinders, that Atlas demonstrated for me, including Rogue Chocolatier, in Massachusetts, and Patric. Of course, while Atlas’ five wet grinders each cost about $200 and can hold about 6 pounds, the bigger boys use multiple, more-expensive machines that can each hold about 50 pounds. Still, the tiny dal-grinding machines are so ubiquitous that small-batch maker Cacao Prieto is starting to develop its own brand, using machines manufactured in China. 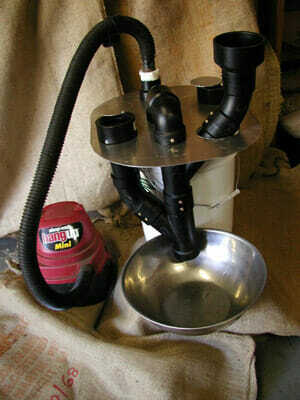 Most makers also create a winnower with a PVC pipe and a vacuum. “It looks super DIY,” says Lindley. Gasko, from Rogue Chocolatier, says that his winnower is “MacGyver, built from components that don’t have anything to do with winnowing.” His father, who has a Ph.D. in theoretical physics, designed the device and helped his son build it over a year and a half. Gasko refused to talk details about the contraption, citing trade secrets. Some, like Rob Anderson of Fresco Chocolate in Washington and Steve De Vries of De Vries Chocolate in Denver, rescue chocolate-making machines from the 19th century and refurbish them, pulling them apart and then putting them back together to serve their purposes. Anderson, like many others, creates most of his machines from scratch, saying that the mechanics are part of the fun. Atlas would probably agree with Lindley about magic, since every chocolate lover knows there’s something transcendent about that taste. In the meantime, she’s investing about $10,000 in a Macintyre metal grinder. Looking to purchase a very small winnowing machine as I am not very handy DIY. If anyone has info I would so appreciate it.